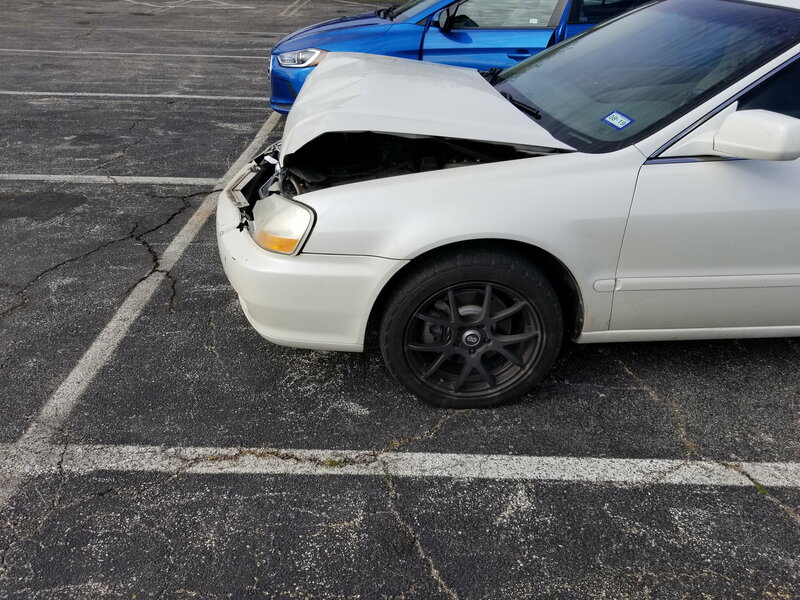 Yesterday I was involved in an accident. Fortunetly I walked away with only minor injuries. The car is totalled and thus marks the end of my time with Acurazine. For 5 years I turned to this site for advice on replacing my trans, (AV6), timing belt, motor mounts, brakes etc and everytime you all steered me in the right direction. Thanks to you all for the help. Best wishes on your future endeavors with your TLs. You never know, you might decide to replace it with a gently used 3G or 4G TL. Sorry for your loss. You're still welcome to participate. I'm still active (well, not as much), in other forums where I no longer own the vehicle. You can still relate to ongoing issues, share your own experience, and still even learn a thing or two that can help on whatever vehicle you get as a replacement. Whatever you decide, best of luck, speedy recovery and glad your injuries are minor. Sorry for your loss and have you definitely ruled out replacing your Acura with another one? The end of the world, not global warming, but still the end of the world!! Jl Audio 12 With High End Box With High End Cable! Have To Sell!! !